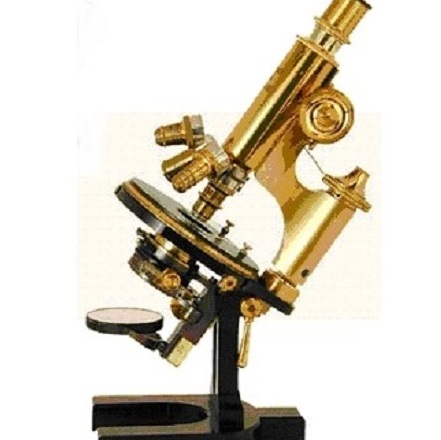 It’s a fascinating technology, since it harnesses exotic steps invented by DRAM makers in the 1990s to get over scaling problems in that technology. At the time DRAM had to go vertical to follow Moore’s Law and there were two schools of vertical DRAM: Stacked Capacitor, and Trench Cell. The stacked capacitor camp layered polysilicon and silicon dioxide into layers to form a vertical capacitor. The trench camp etched a very narrow and deep hole into the silicon and lined it with the capacitor plates. Both worked very well, but over time the trench makers have exited the business. So what has all this to do with Samsung’s 3D NAND? Well the way this NAND is built is to make all the layers that a stacked capacitor would use, then to etch a trench into it. Combine both DRAM methods and use it to build a vertical NAND. The Memory Guy calls that “ingenious”. SanDisk doesn’t think it’s time for 3D. In its May 8 Investor Day the company explained that it would not introduce 3D NAND until there was a clear return on investment. It seems that Samsung has a different idea. It appears that SanDisk and Toshiba will follow Micron’s and Intel’s path of migrating to Hi-k dielectric planar cells to prolong the life of planar NAND before inevitably moving to 3D. Samsung has not disclosed that it has Hi-k on its roadmap, forcing the company to adopt 3D earlier than its competition. 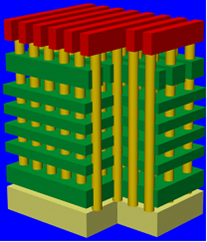 Although 3D NAND is a fascinating technology, Objective Analysis is not certain that the mere introduction of such a product will result in a market. Memory markets are notoriously cost-driven, and it is not clear that today’s 3D NAND will compete on cost against existing planar NAND technologies. 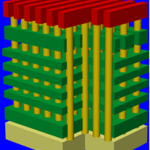 After planar NAND has run its course, however, 3D NAND will be the reasonable candidate for future NAND generations. We anticipate that the bulk of NAND shipments in 2018 will be 3D NAND. Objective Analysis has published a report: Understanding the NAND Market, that can be purchased for immediate download from our website. May 8 2014 Update: The Memory Guy and several companies I have approached have not yet been able to locate any samples of Samsung’s V-NAND product. If you know of someone I can talk to who has received a sample, please let me know either by commenting below or by contacting me directly.